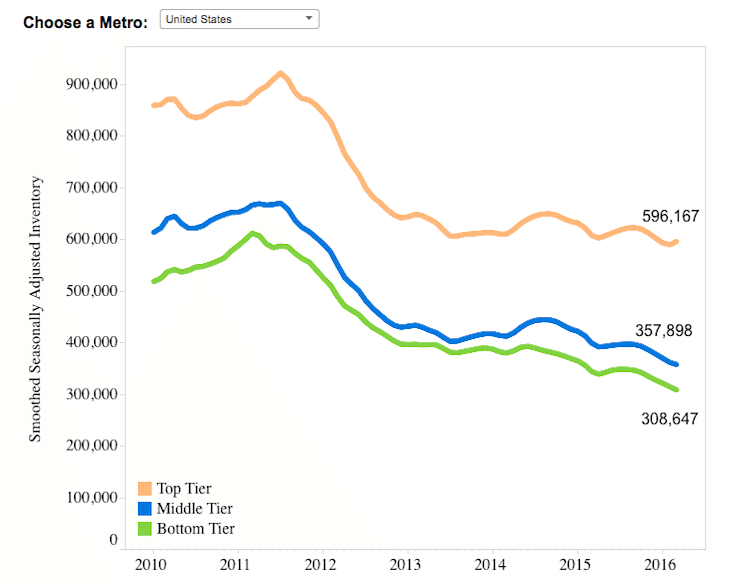 Although Houston’s inventory wasn’t covered in Zillow’s report, the metro area’s ZHVI increased in every home tier during the first quarter of 2016, with bottom, middle and top-tier homes all showing slight upward movement. Despite the increases, Houston’s current average ZHVI ($145,700) sits more than $40,000 below the national average. 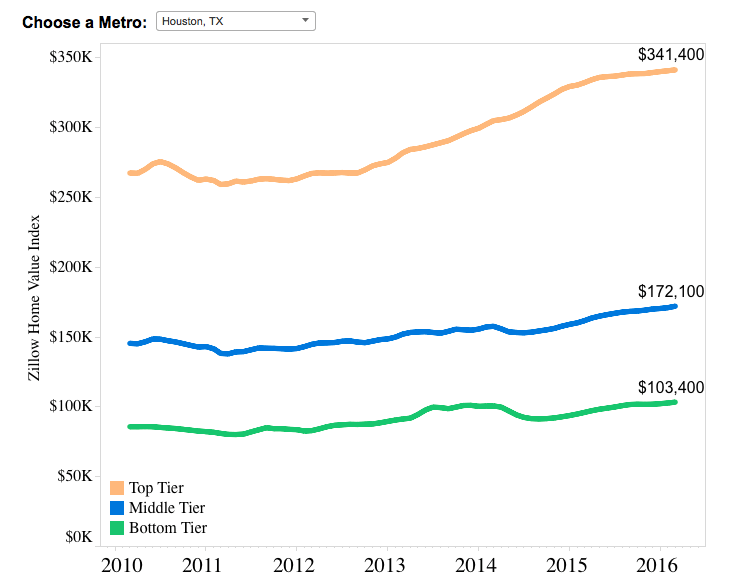 After steep increases from 2013 to 2015, the average value of Houston’s top-tier homes is starting to fall back into similar growth rates of the middle and bottom-tier sector.